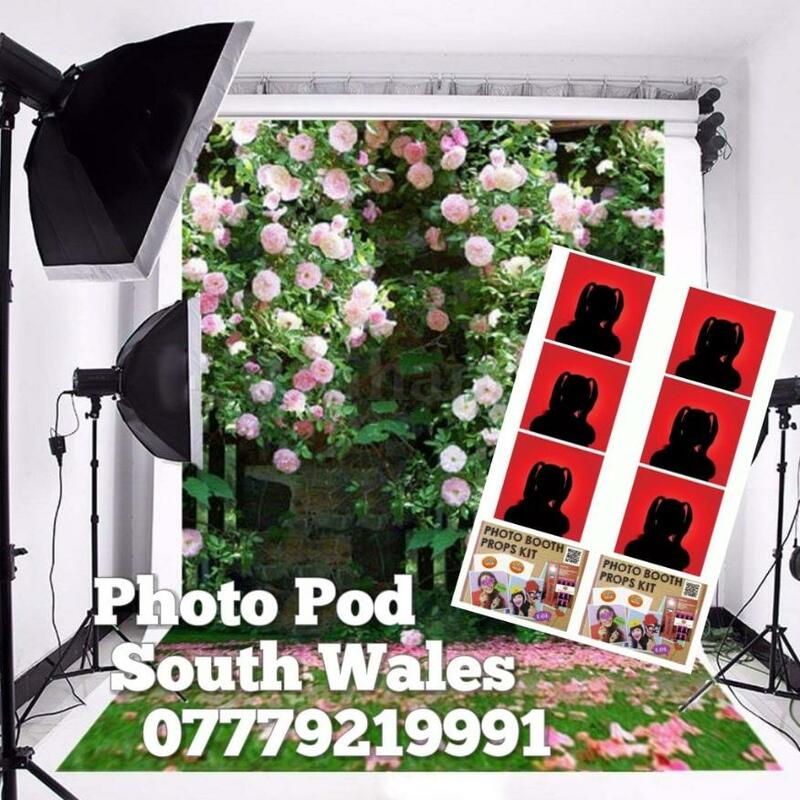 Package includes the delivery of our mini studio with all it's accessories to your venue. 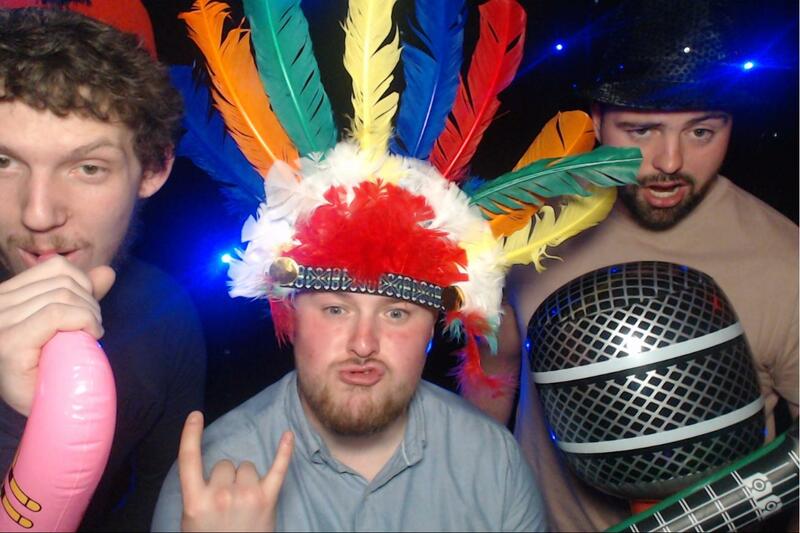 It will well presented by a photo booth attendant for the entirety. 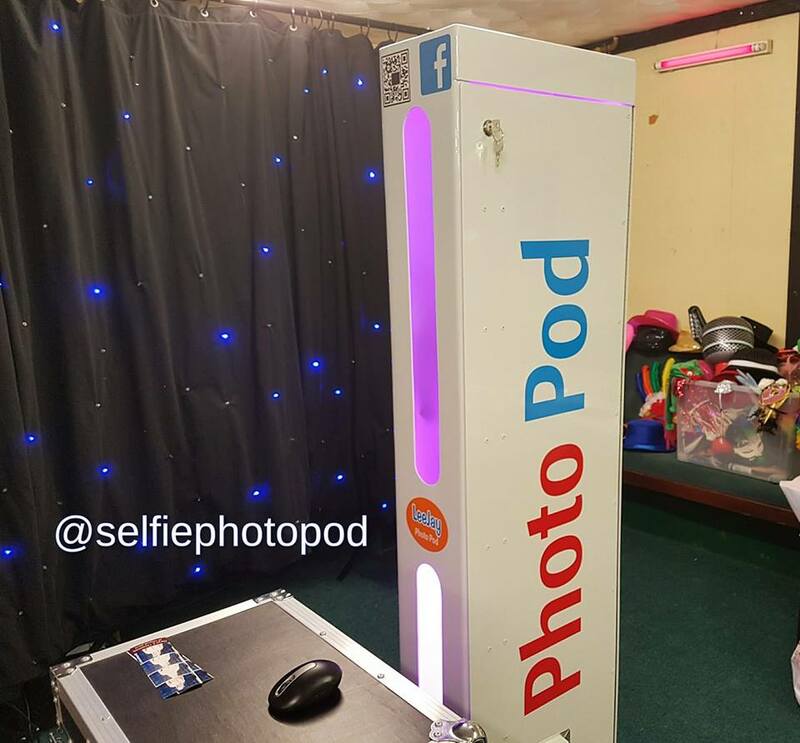 All your photos are included, as well as on site photo printing within seconds of your photos being taken. 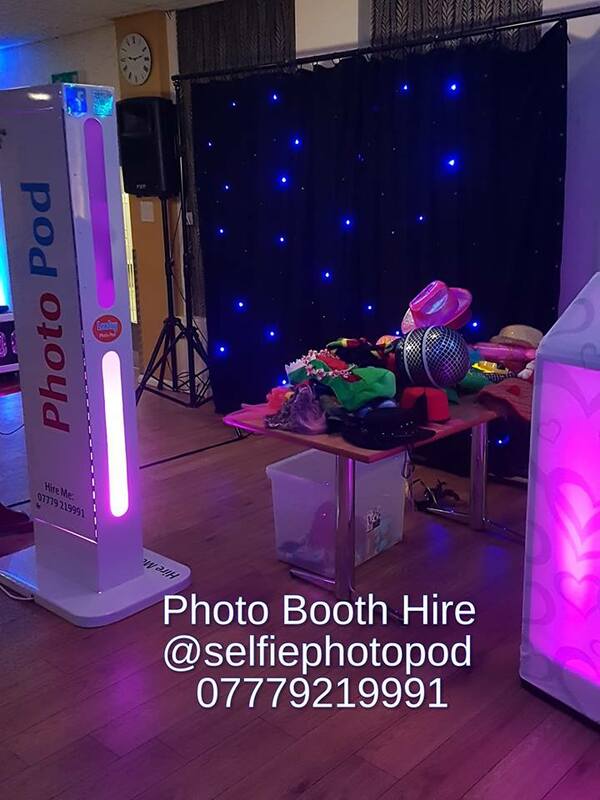 All the photos taken will be given to you on disc at the end of your event(optional )- no extra charges or fees! 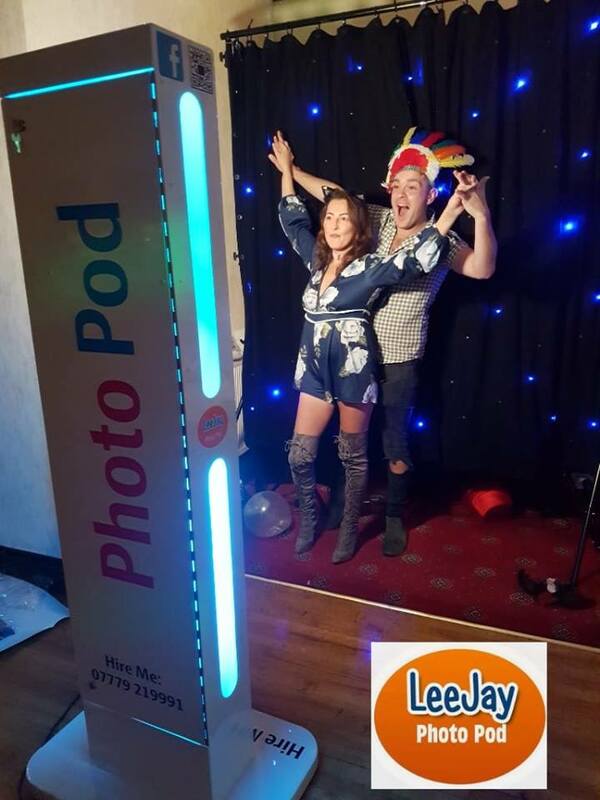 PHOTO POD & DJ Hire £350 for a evening party. 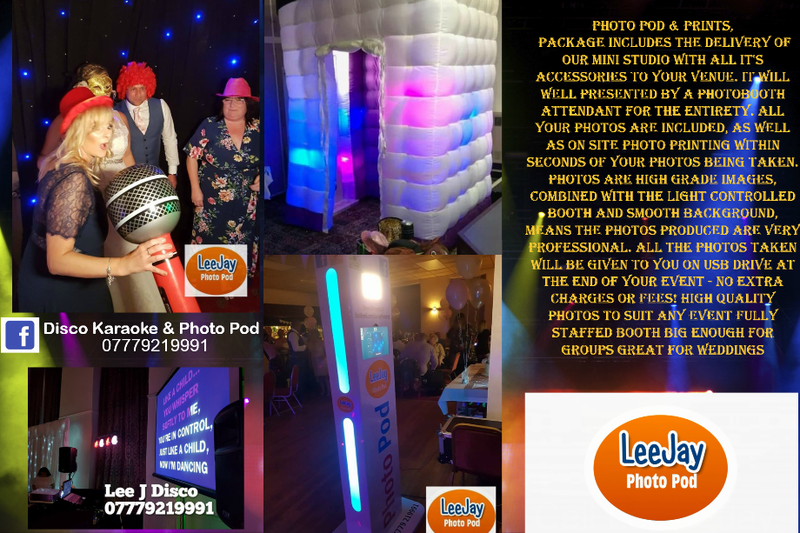 This is our most popular package.Great entertainment all from one place. We print your images ,within about 20 seconds, using a state of the art dye sublimation printer. This means that your photos are printed quickly using heat so are never wet to touch enabling you to take them away immediately.